World No. 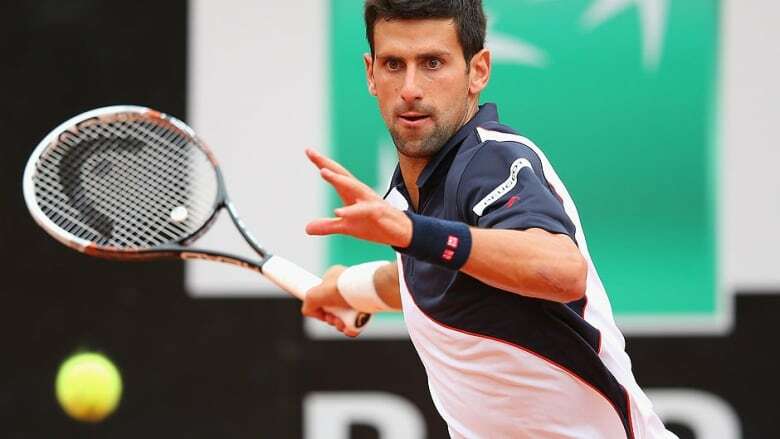 2 tennis player Novak Djokovic has sparked worldwide financial and media support for victims of the massive river water surge that has killed at least 45 people and left hundreds of thousands homeless in Serbia, Bosnia and Croatia. The world's No. 2 tennis player has achieved what no politician has managed since the bloody Balkan wars in the 1990s: to at least temporarily reunite former bitter wartime foes as they jointly struggle against the region's worst flooding in more than a century. What has set Djokovic's flood salvage campaign apart is that he didn't just seek international support for Serbia. He also did it for Bosnia and Croatia which were at war with Serbia. All three states are still harbouring a deep mutual hatred and distrust, 20 years after the wars ended and the former Yugoslavia split up into seven different countries. "My heart is breaking when I see that so many people were evacuated and endangered in Bosnia! More than 950,000!!! Hold on brothers ... help will come from the world," Djokovic wrote on Twitter. "I also see that the east of Croatia is hit by floods … I sincerely hope that it will not hit you like Serbia and Bosnia. Keep safe." "Long live the people of former Yugoslavia. Let God be with you," he wrote, adding a map of the former Yugoslavia with the flags of now different countries. "There have not been floods like this in the existence of our people," Djokovic said. "It is a total catastrophe of biblical proportions. I don't really know how to describe it." Djokovic's gestures triggered mostly positive public support in both Croatia and Bosnia. "I'm not Djokovic's supporter or like tennis," said Davor Buric, a university student in Zagreb, Croatian capital. "It is nice that he mentioned not only Serbia, but also Croatia and Bosnia. Djokovic has nothing to do with the war, and I have never heard him saying anything against other nationalities." In Bosnia, national football team coach Safet Susic said Djokovic had won "the support of the whole of Bosnia" with his campaign, and promised to support him in the upcoming Grand Slam tournaments — the French Open and Wimbledon. Djokovic replied by saying he will support Bosnia at the World Cup in Brazil. Such sentiments in Bosnia and Croatia have prompted some commentators to nickname him "Marshal Djokovic" after Marshal Josip Broz Tito, the post World War II Yugoslav communist leader who managed to keep Yugoslavia united with iron fist. With his death in 1980, the country started unraveling along ethnic lines. "This water … has destroyed what we have been building for the past 20 years," wrote prominent Croatian columnist and writer Vedrana Rudan in an ironic commentary on her web page. "Djokovic has sketched the map of Yugoslavia, he greets both our and his people ... the slaughter has separated us, the drowning has reunited us."